Shop our signed David Ferrer tennis memorabilia. 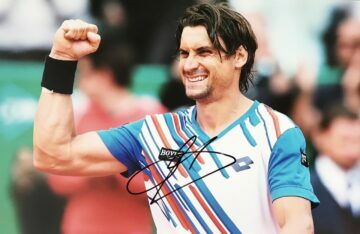 Autographs of the tennis star on a variety of sporting related items. 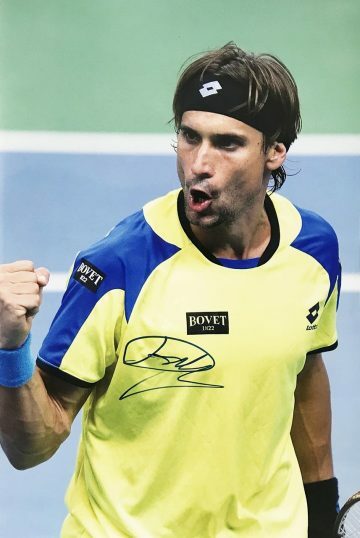 Including signed David Ferrer shirts, caps, visors & photos. Many with photo proof, all with a Certificate of Authenticity, fast worldwide shipping and free UK delivery! 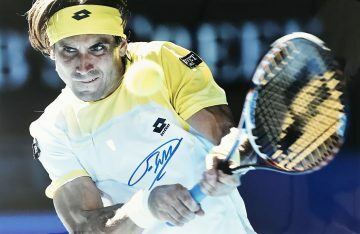 Spanish tennis player David Ferrer has been dominating centre stage (and centre courts) since the age of 13. His incredible bank of achievements and titles are representative of a penchant for success and genuine love and passion for the sport, but also dogged determination in the face of adversity. 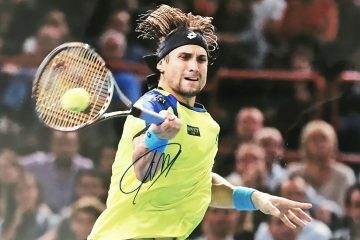 Ferrer’s relationship with tennis hasn’t always been plain sailing – in fact, despite the massive highs there were low points that threatened to end his career altogether. His first blow came during his time at Juan Carlos Ferroro’s infamous academy in Villena, when the Spanish Federation chose to sponsor another player over him. This would have deterred many – but he chose to go it alone before turning professional. In addition during training with Javier Piles he was once locked in a dark 2×2 metre ball room for hours with just bread and water to eat when the coach decided he had not trained hard enough. 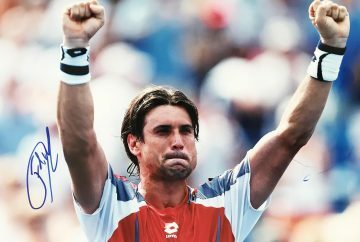 After the incident, he was disillusioned and quit tennis, but soon returned to the academy and revived his relationship with Piles – and the sport. 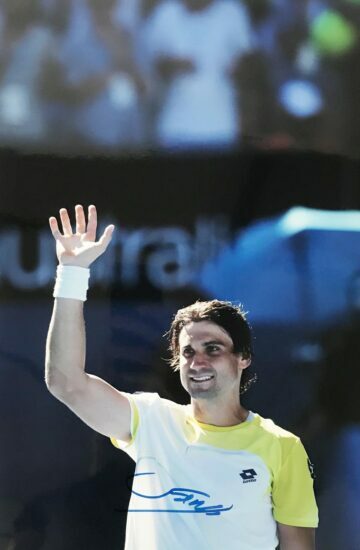 Despite the adversity he has faced Ferrer as overcome each and every obstacle, battling the odds to become the third seed in 2013. He has seven Grand Slam titles to his name including Wimbledon, the Australian Open and the US Open. He also has ten doubles Grand Slam titles under his belt. He is also a three-time Davis Cup winner. 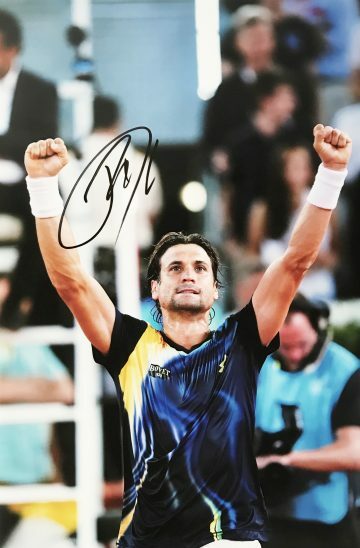 Shop signed David Ferrer tennis memorabilia now at Firma Stella. Here you’ll find a fabulous selection of ephemera from throughout his incredible career -from signed David Ferrar tennis rackets, clothing and caps to tennis balls and more. Each and every item we source is a 100% genuine, provided with a certificate of authenticity.